Can EV Infrastructure in California Keep Pace with Adoption? California is on track to meet or surpass Gov. Brown’s earlier goal of 1.5 million zero-emission vehicles (ZEV) by 2025. But EV infrastructure challenges could prevent the state from meeting his latest goal of 5 million ZEVs by 2030, says a report prepared for the think tank Next 10. Inadequate EV infrastructure could slow down adoption, says F. Noel Perry, founder of Next Ten, which provides information about issues that affect Californians. “But by 2040, ZEVs could be as ubiquitous as smartphones,” he says. Zero-emission vehicles, for the purpose of the report, include electric vehicles, plug-in hybrid electric vehicles and fuel-cell vehicles, but most ZEVs on the road are EVs, he says. At least one of these cars, the Nissan Leaf, is already cost-competitive with traditional cars, says Perry. Assuming the driver of the all-electric Nissan Leaf drives 12,330 miles per year in California, the Leaf has lower 5-year and 10-year life cycle costs than the internal combustion Hyundai Elantra and the plug-in hybrid Chevrolet Volt, he says. And that’s true even if the Leaf owner does not receive the federal incentive. However, in spite of the gains in California, the ratio of charging stations to EVs is low compared to other areas of the country, Perry says. “We have the most charging stations but the ratio of cars to stations is low in California,” he says. non-residential private-sector charging outlets, or 0.05 outlets per ZEV, one of the lowest ratios in the country, according to the report. Industry observers agree that infrastructure challenges are inhibiting growth of ZEVs. Brian Orion, an attorney for Stoel Rives, says that interoperability and keeping up with technology are two major challenges. “One of the main challenges is ensuring that the infrastructure is future-proof,” Orion says. “The newest generation of electric vehicles is capable of charging at higher speeds than the previous generation, and this trend is going to continue.” Infrastructure installed today may quickly become obsolete, he notes. ZEV drivers also face the problem of the hassles associated with charging at public stations, he says. Many networks require customers to sign up for accounts in advance and to use special cards to begin a charging session. “This creates a balkanized system that can undermine driver confidence in the ability to charge when needed,” Orion says. Some charging networks are looking into using modular, expandable infrastructure to help solve the problem, he adds. 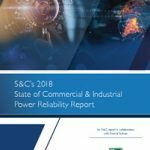 “Even so, it’s likely that a significant portion of the infrastructure being deployed today will be obsolete well before its ordinary useful life has ended,” he says. Caradoc Ehrenhalt, chief executive officer of EVSC, adds that installing infrastructure in multi-unit buildings poses challenges. In addition, it’s expensive to install additional power if there’s not enough onsite. “Money is needed through grants and rebates to make a big difference,” he says. He expects to see sometime “futuristic gas/EV charging stations” that allow customers to harge for 15-20 minutes while having coffee inside. And he is involved in a network that allows users to book charging time in advance at another driver’s home to charge while they’re on long-distance trips. “There are dozens of ways the infrastructure will be built out and evolve,” says Ehrenhalt. percent, compared to 3.6 percent in 2016. ZEVs are popular in areas other than California. In 2017, global passenger EV sales hit about 1 million, which is up from 0.5 million in 2015. With advanced technology, growth rates often hit a tipping point, and then exponential growth occurs, says Perry. This pattern is true of ZEVs, he says. 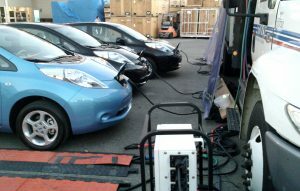 EVs and Microgrids Will Miniaturize Our Grid. Or Not. 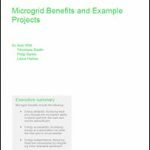 Utilities as Microgrid Owners? Energy Giants Debate in D.C. The LEAF is not a good example of an electric vehicle. In warm areas like SOCAL the batteries while and lose range faster than any electric. Yes they are low cost but without liquid cooling that are not sustainsble. A great example is the Chevy Spark Ev , Volt and Bolt. They all have liquid cooling and batteries that last 20-30 years vs 2-3 years in a LEAF. I have a petition to introduce electric vehicle chargers in Whittier California! This is such valuable information to provide to city council. How on earth can there still be cities without a single public charger?! Any support would be greatly appreciated!